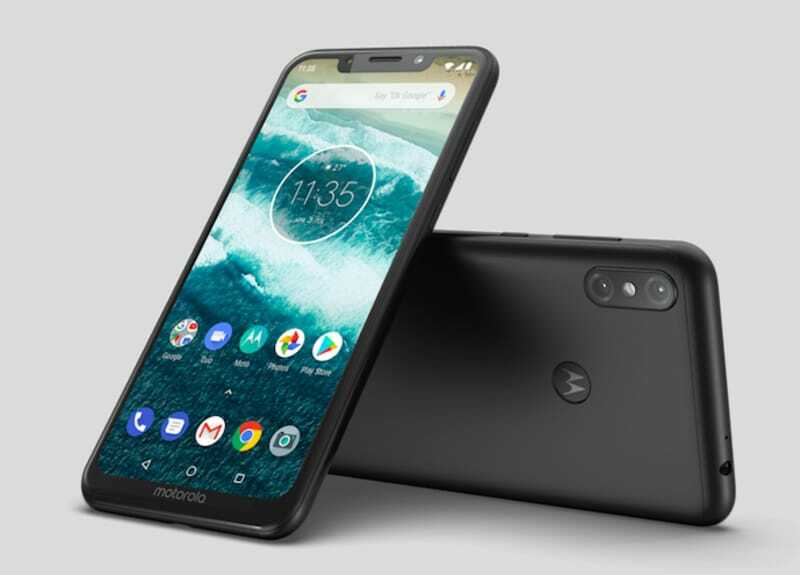 Following the launch of Moto G6 Plus, the Lenovo owned brand Motorola has today launched its first Android One offering in India – the Motorola One Power. 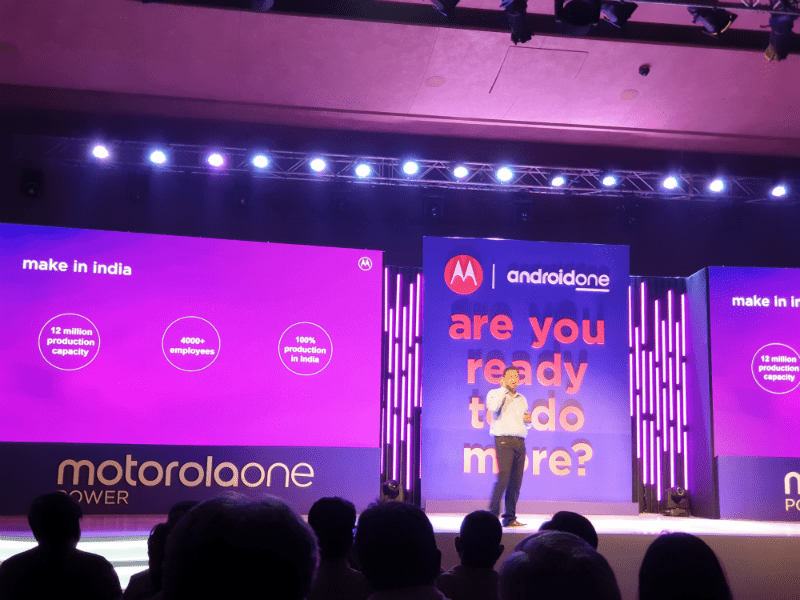 It’s noteworthy that the Motorola One Power is going to be the second Android One phone from Motorola globally and the first one in India. Before this, the brand has only launched phones with stock Android experience which did not use to come with Android One certification. The phone comes with a lot of notable specifications which include a massive 5000mAh battery, Snapdragon 636 SoC, dual rear cameras and much more. Below we have noted the specs, pricing and availability of the new Motorola One Power smartphone. Like some other phones around this price range, the Motorola draws power from the Snapdragon 636 SoC with Kyro 260 architecture which clocking a speed of 1.8GHz. This chipset is accompanied by Adreno 509 GPU and further paired with 4GB of RAM and 64GB of storage which is expandable to 256GB. Optics wise, the Motorola One Power features a dual rear camera setup of 16MP+5MP sensors and a 12MP front shooter. The rear setup on the phone also features LED dual-tone flash with the primary sensor having an aperture of f/1.8 and 1.12-micrometre pixels. The One Power’s rear camera also comes with PDAF, and and the capability to shoot slow-motion HD videos as well as Full HD+ videos in 2160p quality. The front camera shoots in 1.25-micrometre pixels. Moving onto the design, the Motorola One Power comes with a notch and it has a screen size of 6.2-inch which renders Full HD+ resolution on an IPS LCD which has an aspect ratio of 18.7:9. The pixel density on the screen is 402 PPI. The phone sports a very slim form factor with the thickness measuring 8.4 mm, and it is also splash resistant. However, similar to other Moto phones, this one also weighs a little bit heavier with the weight being 198 grams. There is a rear mounted fingerprint sensor and the phone sports very thin bezels lending it a premium finish. One of the highlight features of the Motorola One Power is the 5000mAh battery it has inside. The TurboCharge technology also powers this device as it comes with a 15W fast charger which will allow it to amass 6 hours of talk time with only 15 minutes of charging. That being said, the Motorola One Power boots stock Android 8.1 Oreo with Android One certification. The Android One tag means that the phone will be able to receive the latest security patches and will also be ahead in the line while receiving the Android 9 Pie update. Notably, One Power is going to be Motorola’s first Android One offering in India, and second one globally. Additionally, the Motorola One Power comes with USB Type-C port, and other connectivity options include 3.5 mm headphone jack, NFC, Bluetooth 5.0 Low Energy and dual-band WiFi. Motorola hasn’t been that aggressive in recent times, but that has changed with the Motorola One Power. Keeping the Indian consumers in mind, Motorola has priced the device aggressively at Rs 15,999, taking on the likes of Nokia 6.1 Plus and Xiaomi Redmi Note 5 Pro. The phone can be picked up exclusively on Flipkart. Registrations for the device will start on September 24, while the first sale will take place on October 5 at 12 PM. Xiaomi Redmi 6: What Makes it a Worthy Buy at Rs 7,999? Does it supports dual volte??? Poco is having software issues. Better buy Moto and be in peace with system updates.